Please check the news page for the latest information about classes and events. Egyptian belly dance is now more popular all over the world than ever. 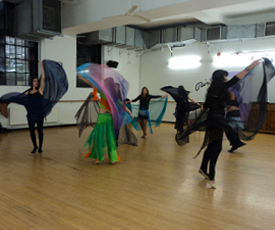 Taking a belly dance class is a great workout and a wonderful way to learn a new skill. It is inspiring and empowering women, bestowing good posture, balance, increasing self-esteem, and offering a glamorous way to get fit. Learn this beautiful dance with a teacher in London who has danced and trained in Cairo. 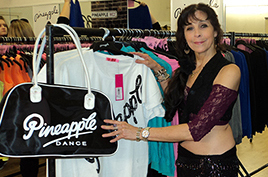 Asmahan has been teaching Egyptian belly dance classes at the famous Pineapple Studios in Covent Garden, London for 14 years. Her belly dance class has produced many professional dancers and teachers. She teaches drop-in classes that feature a dynamic technique of basic steps that presents belly dance as a high energy but elegant dance routine. Drop-in class does not mean easy or superficial. The concept of the foundation class is a format like a ballet class, the class technique is eternal, these are steps and movements that make the dance work. 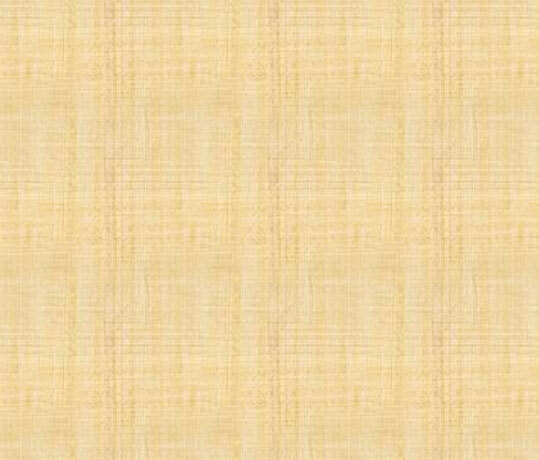 The same basic format is constantly practiced and improved. 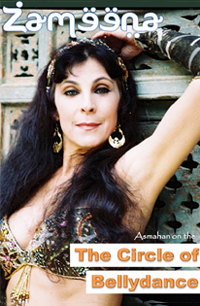 Asmahan's Foundation class is a complete strategy to learn the basic posture and technique to be able to dance in the style of the true dance of the Middle East. This dance brings out the individuality of each woman, each dancer finds her own way making the dance her own and expressing her unique style. TheÂ Foundation ClassÂ starts with a warm-up, correct posture, arm positions, and then steps to create aÂ Taksim.Â Then the class proceeds to Balady,Â with hip movements, Arabic lifts, and creating circles. The next section of the class coversÂ ClassicÂ steps for dancing to songs which include traveling steps, turning, and more intricate hip movements. The amount of technique is formidable, at first it seems daunting, but every class is the same format, so you continue to improve these steps each time. The technique never changes, just like in ballet, the dancers always need foundation to train and strengthen basic movements to keep the dancing technique improving. No Classes Currently - for a private lesson or booking please get in touch. TheÂ Level 2 Classcovers learning more complicated step patterns, putting steps into choreographies, and expanding the technique in more sophisticated combinations. More music is studied including knowledge of the songs that make up a dancers repertoire of pieces that are expected. Dancing the entrance using a veil is included. Turning and starting to do Arabesque is part of this routine. Further development of Balady, using taksims, and dancing to more popular songs. The beginning of expanding the endurance of a dancer is developed preparing her to dance for five to ten minutes at a time.